Monday, Aug. 6: The Windham Democratic Town Committee meets at 7 p.m. at the Windham Public Library. The special meeting will fill three officer vacancies: Chair, Vice-Chair, Secretary and will be followed by a regular WDTC meeting. Aug. 6-10: New Gloucester’s First Congregational Church is holding its annual Summerfest, a vacation bible school, 9 a.m. to noon each day. There will be games and music, dance and drama, crafts and stories every day, offered free of charge for children age 4 through those entering 6th grade. Register at 8:45 on Monday, Aug. 6. Registration forms require doctor and insurance information, so download a form to complete beforehand at www.ngucc.org or pick them up in the box at the church kitchen door, 19 Gloucester Hill Road. Directed by Kathryn Larson. Call 926-3260 for more information. Tuesday, Aug. 7: VNA Home Health & Hospice’s monthly grief support group is offering “Journaling through your grief” from 6-7:30 p.m. at the North Windham Union Church, 723 Roosevelt Trail. This is an open group for anyone grieving the death of a loved one. For more information, call Linda Hopkins, Bereavement Support Coordinator for VNA Home Health & Hospice, at 400-8714 or e-mail Linda at hopkinsl@vnahomehealth.org. The group is sponsored by the North Windham Union Church UCC Mission Committee. Saturday, Aug. 11: “Pig out on Reading” with Farmer Minor and his pot belly pig, Daisy. Storytelling, reading and pig-petting for ages 4-12 and their caregivers. 7 p.m. at Spaulding Memorial Library on Route 114. FMI, 787-2321. Saturday, Aug. 18: Community supper – Burgers, Brats, and Dogs Barbecue – 5-6:30 p.m., Raymond Village Community Church (RVCC), 12 Main Street (Route 121 just off Route 302), Raymond Village. Charbroiled burgers and brats, all fresh from the Raymond Meat Market and complete with all the fixings, hot dogs grilled just the way the kids (or you!) like them, fresh tangy coleslaw, spicy baked beans, and a variety of homemade pies. Sit under the cool, comfortable picnic awning next to the church and listen to 40s, 50s, and 60s music while you eat. Take out orders welcome. Thursday, Aug. 23: The CPA Series at Saint Joseph’s College will hold a one-day workshop titled “Estate Planning & Elder Care Issues” for certified public accountants and other financial professionals. The workshop will provide eight hours of continuing professional education credits toward licensing requirements, including one hour of ethics. The key workshop presenter is Richard Ploss, CPA, CFP. He serves as chair of the Trusts & Estates Group at Preti Flaherty law firm in Portland, focusing on federal income taxation and probate litigation. The workshop will be held at Viola George Auditorium in Harold Alfond Hall on the Sebago Lake campus in Standish from 8 a.m. to 4 p.m. To register, visit http://online.sjcme.edu/cpa or call 800-752-4723 for more information. The workshop fee of $129 includes refreshment breaks and lunch. • The hours for the drop-in Lakes Region Senior Center at the Little Falls School, 40 Acorn Street, Gorham, are as follows: Monday-Thursday from 9 to 3 p.m. FMI, email lakesregion50@gmail.com or contact Glenn Lynds at 893-9088 or drop by and check them out. • “The Writers” gather on the third Monday of each month at the Raymond Public Safety Building on Route 302, from 6-8 p.m. Authors of all types are invited to support one another, to listen and render opinions when asked, with respect and courtesy. If you are interested in joining, stop by or call Betty Libby at 655-9214. • A free car seat check sponsored by Safe Kids Maine takes place the third Saturday of each month from 10 a.m. to 1 p.m. at Windham Fire-Rescue, 718 Roosevelt Trail (Route 302), North Windham. Certified Child Passenger Safety Technicians will be available to provide free assistance with car seat installations and recall checks. FMI, 899-9461 or www.maineseatcheck.org. • Until Nov. 19, American Legion bingo takes place every Monday night at the Windham Veterans Center behind Big Lots on Route 302, Windham. Doors open at 4 p.m. Bingo at 6:30 p.m. Hot food, cold drinks, other goodies. Sponsored by Standish Memorial Post 128. FMI, call 642-5583 or visit www.post128.org. • Through October, food distribution at the food pantry at the Casco Village Church’s food pantry will be held from 4 to 6 p.m. the fourth Thursday of each month. • The Wings ‘N Things Clothes Closet of the Casco Village Church United Church of Christ (941 Meadow Road, Casco Village) invites you to come shopping. You won’t believe your eyes when you see all the beautiful new and gently used clothing, mostly name-brands, most $1 or less. Open Saturdays from noon-4 p.m. or by appointment. The closet will open every Thursday morning from 9 a.m. until noon in conjunction with the Farmer’s Market on the Village Green in Casco. FMI, 627-4282. 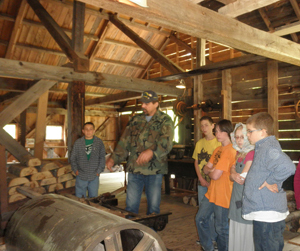 • The 2012 schedule for tours of the historic Scribner’s Sawmill and Homestead has been set for the summer season from 1-4 p.m. and continuing on the first and third Saturdays throughout the summer months ending on Labor Day weekend. When open, there will be demonstration of barrel assembly and shingle making. 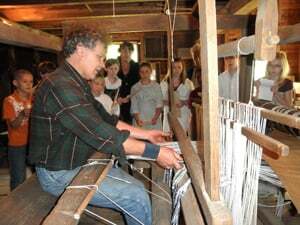 In the 1849 Scribner Homestead museum, visitors will learn about the five generations of Scribners who operated or worked in the mill and take a peek into the life of the Scribner family. Entrance is free, however, all donations go toward the permitting process to establish a low head dam with a fishway for the operation of the water driven mill machinery. Scribner’s Mill is found one mile south of Bolster’s Mills from Jesse Mill Road just over the bridge in the Town of Harrison. Or follow the Maine State directional signs found at Carsley Rd. from Rte 35 north or Maple Ridge Rd. from Rte. 117 to the mill. FMI or to schedule a visit call 583-MILL.